I’ve had the Pioneer AVH-2330 with maestro RR and the FTR1 dash kit installed and I’m having issues with my climate control. Its manual control and not run through my stereo. I have two lights that stay on at all time, the defrost button and the max defrost light; no other lights are on. The A/C does come on but it’s difficult to control. I’m not sure if there is an issue with the ribbons or fuse. If it was the fuse I figure I’d have no lights at all and the A/C would not work at all. We do not control the climate in those vehicles, that is why it is not shown on the radio as you have found out. The only suggestion we can make is to check the ribbon cables and make sure they are seated properly and aligned on both ends of both cables. Additionally you could check continuity on the cables and make sure you have continuity on all circuits in both cables. Thanks Zack, I’ll give that a try. Is there a way to get two new ribbons? If the ribbon cables have been damaged, replacement ribbon cables can be purchased for $25 USD. If it is a matter of warranty, you would exchange the kit through the dealer where you got your product. Thanks Dara. How can I go about purchasing new ribbon cables? Check your email- I have sent you an invoice via PayPal. Dara, paid the invoice. Thanks. Dara, So I changed out the ribbons and still having the same issue. I would post a picture showing the two lights that are on but can't figure out how to do that. I'm at a loss at this point and can't figure out how to fix this issue. You can link the images through a photo hosting website like imgur, google drive, or photobucket. Okay, let's see if this works. As you can see, there are two lights that are on and they stay on. None of the other lights come on at all and although the A/C works, it's difficult to control the speed and temp. Again, not sure how to fix this issue. Everything else is working great, just having issues with the Climate Control system. It doesn't look like the buttons/boards are aligned in the kit. This might be putting some pressure on the contacts and engaging them to where they are always on. Try pulling that portion back apart and aligning the panel in the kit. Okay, I see that now. Let me try that when I get back to the house and I'll see if that does the trick. Okay, took everything apart and made sure everything was aligned correctly, still having the same issues. I'm completely at a loss on how to resolve this problem. The maestro doesn't have anything to do with the climate controls in this solution. 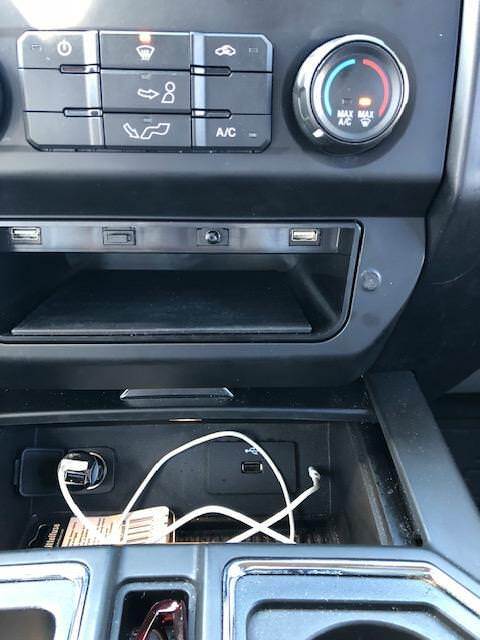 All you're doing is taking your factory climate controls and moving them to a new dash piece. The only plausible cause is that something that isn't assembled correctly. Did you possibly drop one of the circuit boards when you were doing the install? These are pretty delicate and Ford designates these to be scrapped if you drop them.